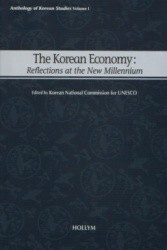 The Korean economy is a model of extensive economic development in a short period of time. Korean success, however, has not been free of problems, and the recent financial crisis in particular can be interpreted as an example of failure in economic management. Too simplistic an interpretation of the Korean economy, whether positive or negative, should be cautioned against. In order to better grasp the contemporary Korean economy in all its complexity, it is necessary to understand the political and economic terrain as well as the time-space context in which the Korean economy is located. This volume attempts to provide readers abroad with a short but balanced introduction to economic issues in modern Korea by presenting a wide range of topics from a diverse group of contributors. Part I introduces earlier efforts at economic development and discusses their achievements and failures. In Part II, several contributors examine the meaning and effects of rapid economic growth in relation to the country¹s social and economic development. The 1997 financial crisis and subsequent responses by the government and corporate sector are the focus of Part III. Since the adjustment process is still continuing, a comprehensive evaluation must wait a few more years. Part IV discusses the role of the government, which was essential for the rapid growth of the Korean economy in a changing environment. Since this volume is a collection of articles published in the Korea Journal, it intends to offer readers a variety of topics and views rather than an in-depth analysis of a single topic. · Han, Sang-Jin. Economic Development and Democracy: Korea as a New N4odel? Weiterführende Links zu "Korean Economy"
Unser Kommentar zu "Korean Economy"